This one goes out to all the women out there who want to use natural makeup, but aren’t exactly going for the no-makeup look. Ditch those sheer, neutral palettes and behold Lawless, a line (launching today) of highly-pigmented cosmetics that give full color payoff without ugly ingredients. Annie Lawless, the co-founder of Suja Juice and curator of the wellness and beauty blog Blawnde, reached a point where she could no longer stand to be healthy in all aspects of her life except her makeup bag. 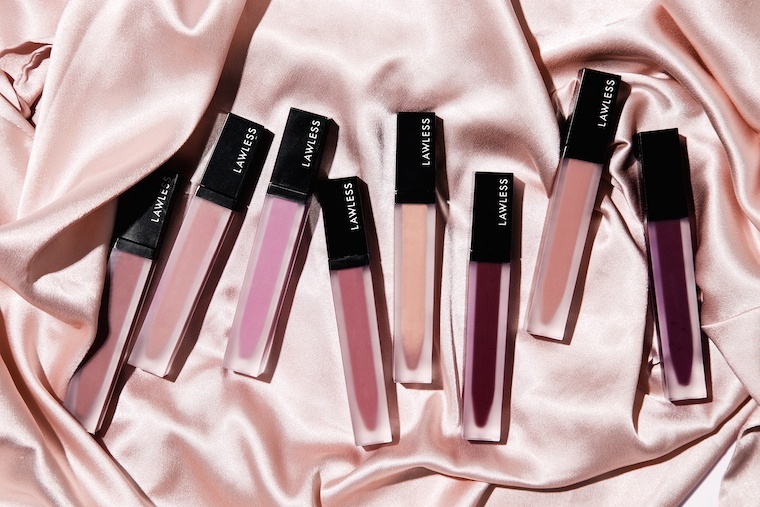 So she took matters into her own hands, creating a collection of natural makeup that will initially include matte liquid lipsticks in eight shades, from nudes to pretty pinks to deep reds—all for $25 each. She began extensively researching ingredients to find ones that would be 100 percent safe, but also still be high performance. She wound up incorporating ingredients such as plant-derived emollients like dilinoleic acid in place of synthetic silicones to give the formula a silky texture; naturally anti-microbial sambucus nigra fruit extract in place of chemical preservatives; and naturally occurring mineral waxes like lauryl olivate and ozokerite in place of parabens. Down the line, Lawless will be adding to the collection with complexion-focused items. “I’m most excited to fill a major void that I see in the beauty industry,” says Lawless. “I’m thrilled to create products that don’t make women sacrifice the things we look for and love in our makeup.” That’s something to pucker up to. As for your complexion itself, should your skin care match your eating philosophy? And this is the difference between serums, oils, moisturizers, and balms (once and for all).